While it has definitely heated up outside, it’s hard to believe that summer is rapidly coming to a close and children are starting to go back to school. Before we know it, the rain we sometimes battle on sites will become snow and frosted ground. Let’s all enjoy every minute of the heat while we have it and take advantage of vacations, times at lakes and pools, and the sunshine! Our team enjoyed our annual Capitol cookout at the Clark residence this month, complete with carnival games, food trucks, face painting, and cold beverages. We are also in “full swing” with golf outings supporting our favorite charities around town. The projects featured this month are all around the Indianapolis MSA, and include both ground-up and interior projects for new and long-time clients. Additional photos of our Julyprojects below can be viewed on our facebook page. If you’re interested in talking with us about a potential project or partnership, please contact Lauren Kriner at lkriner@capitolconstruct.com or 317.574.5488. If you are a vendor partner, please make sure to register your business on our new subcontractor system here. THE SHOPPES AT ANSON, Whitestown, IN – 22,300 Sq. Ft. 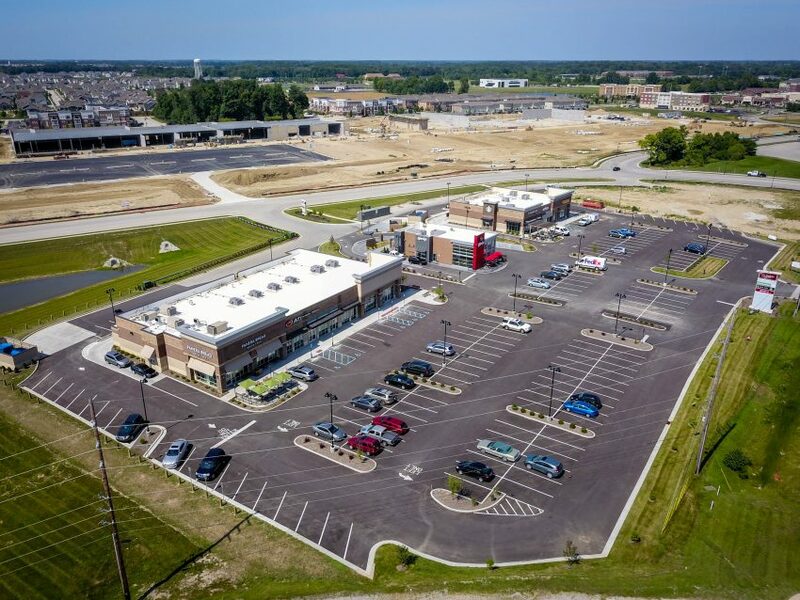 It was our privilege to complete the construction for Midland Atlantic Properties’ The Shoppes at Anson development in Whitestown, IN. We have collaborated with their team many times over the years. On this project, we built the two retail centers, totaling 20,000 square feet, the Wendy’s at 2,300 SF and the interiors of Panera Bread and Starbucks! This area is booming, and we’ve loved being a part of it! Leech-Hensley Architects of Fishers designed this beautiful new center! In keeping with the trend…landlords investing in lobby, common area and amenity remodels, we recently upgraded the lobby at Zeller Realty’s Castle Creek V on Indianapolis’ northside. Showing some bool before, during and after photos of the modern transformation that took place recently. Carmel-based Mitsch Design worked on this project with Capitol and Zeller- we love the new look!! DONUT REFINERY, Carmel, IN- 1,400 Sq. Ft. Check out a sweet addition to Carmel’s donut options, Donut Refinery, now open at Providence on Old Meridian. 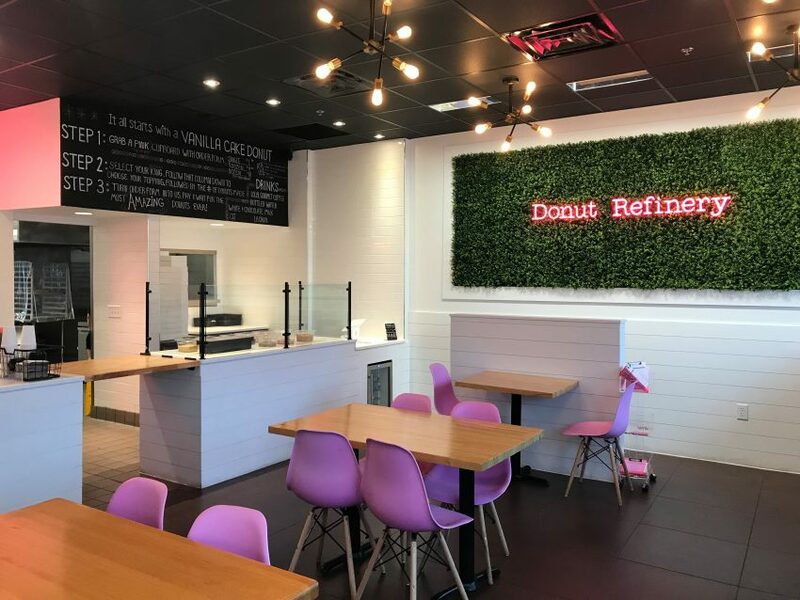 The 1,400 square foot cafe features “make your own” vanilla cake donuts, where you choose your toppings, creating a donut for your own tastes! Local coffees, milk and OJ are also offered. We enjoyed working with the local owners on this adorable project! INFRASTRUCTURE & ENERGY ALTERNATIVES, INC. Indianapolis, IN – 16,700 Sq. Ft.
IEA– Infrastructure & Energy Alternatives, Inc., a provider of engineering and construction of infrastructure, recently moved into a 16,700 square-foot office on the NW side of Indy’s Intech Park. Indianapolis-based Schott Design worked with the IEA and Capitol team on the bright finishes! ROBINSON PARK MANAGEMENT, Indianapolis, IN – 3,800 Sq. Ft. The new owners of downtown Indianapolis’ Class A Market Tower, Robinson Park, are now settled into their new management office. The 3,800 square foot space on the 3rd floor of the newly remodeled tower was designed by Indianapolis’ Schott Design. Capitol has been proud to partner with Market Tower over the past few years on many projects. Welcome to Indy, Robinson Park! 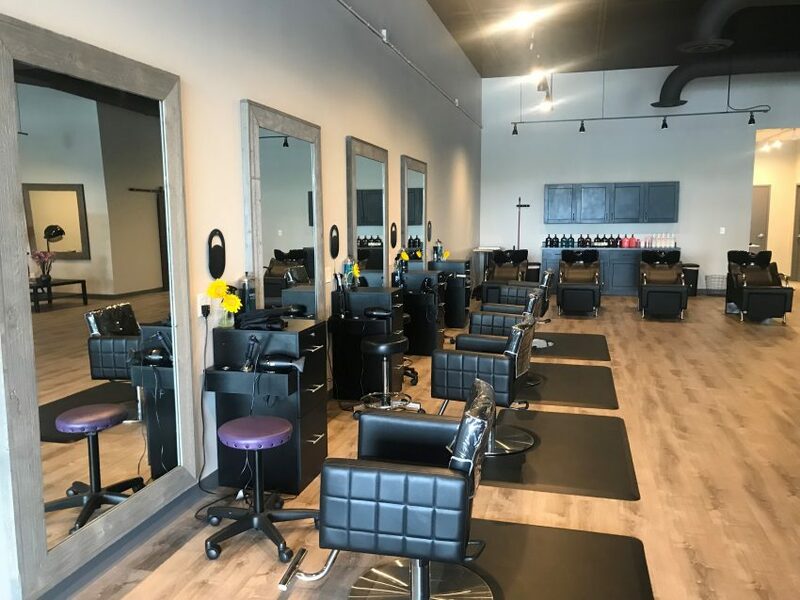 DRAGONFLY SALON, Fishers, IN – 2,300 Sq. Ft.
A new salon owner with years of styling experience, Karie Phelps’, dream came true when she opened Dragonfly Salon last week at Kite’s Geist Pavilion in Fishers. Karie worked with Curran Architecture to design her new 2,300 square foot salon, offering Oribe products and open Tuesday-Saturday! It was a pleasure working with Karie on Dragonfly!